FSC is an independent, non-governmental, not-for-profit organization established to promote the responsible management of the world’s forests. We are currently looking for a Social Policy Officer (m/f) to join our team. The Social Policy Officer supports the consistent implementation of FSC’s higher goals as defined under the Social Policy Program in line with the applicable FSC Policies, Standards and Procedures. To develop communication materials for stakeholders, such as reports, information materials, website content and news items. To implement those materials as well as guidance and training materials throughout all FSC channels in close cooperation with the Network Unit and the Communications Unit. To keep a close relationship with other programs within the FSC Global Office as well as with the FSC Network and FSC related stakeholders, such as FSC members and Certification Bodies to ensure the implementation of joint projects and work towards common goals. To support the coordination of activities related to the development, maintenance and review of normative documents for certification and accreditation, such as review, revision and new creation of normative documents related to the smallholders and communities. To provide administrative support to the Social Policy Program and to projects related to the program. To support the administration and handling of information requests from stakeholders, as e.g. Certification Bodies. Additional tasks as agreed with the Program Manager Social Policy. The position does not include any signing authority. Formal and functional reporting: The Social Policy Officer reports to the Program Manager Social Policy. Formal and functional supervision of staff: The Social Policy Officer supervises no staff. A degree in Forest Management, Wood Processing or similar is beneficial. Training in Communications and/or Administration is an asset. At least 2 years of professional experience in working for an international organization (ideally in a multi-stakeholder environment). Experience in writing, reviewing, revising, and/or editing technical documents, making them light and user-friendly by using the appropriate style and terminology. Experience in providing administrative and office support. Pro-active approach towards solving problems as they occur. Good time management skills: Ability to perform well while handling simultaneously a number of administrative and support functions. Solution and service oriented attitude to work. A strong sense for diligence and accuracy. Experience within the FSC system is a plus. Spanish (level B2 or above, spoken and written). A third language is a plus. Standard software packages (MS Office). Ability to establish and maintain positive interpersonal relations. Experience in working in a multi-cultural, multi-lingual, global team. Experience in working in / with an NGO or Non-Profit Organization. 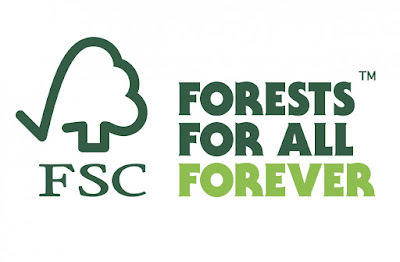 Commitment to FSC’s mission and values. Demonstrated cultural awareness and sensitivity to the diversity of values, views and approaches to issues relevant to the FSC program by stakeholders around the world. Basic understanding of the scope of FSC’s programs and activities. Working Hours: Full time - 40 hours per week. Duration of Employment: Temporary contract - 2 years (extension possible). Please send your motivation letter (including your net salary expectation) and your CV in English as email attachments to Recruitment_2017_06@fsc.org. Please do not send any photos and make sure to insert “Social Policy Officer (m/f) 2017” in the subject line of your email. The deadline for applications is 26 March 2017.